Sometimes your dinner portion just isn't big enough. Sometimes the person who has way too many leftovers on their plate is just a bit out of reach. Well it won't be anymore! 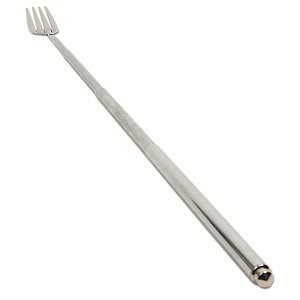 Introducing the Extendable Fork, the one fork you need to reach for your stomach's satisfaction. Extends up to 25"!! !